It’s the time of year when we spring clean! We sift through each closet and hiding spot. Decluttering and de-junking and deep-cleaning. I used to have a higher tolerance for disorder: piled up dirty laundry, dishes filling the sink, stuff literally everywhere. My husband will tell you my tolerance was much higher than his just over a year ago! And then we moved homes. Something shifted in me during all the designing and renovating. 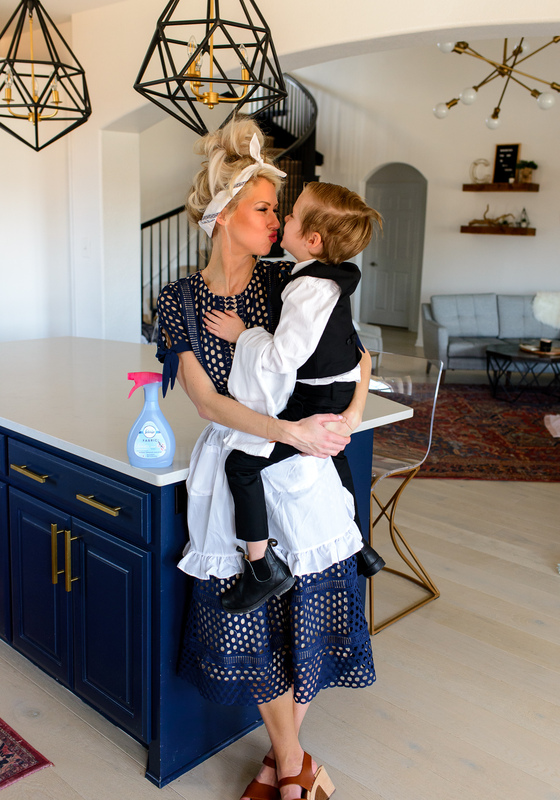 My tolerance for disorder suddenly dropped and instead I found a few secrets to keeping a tidy home… while still making all the messes and letting my littles stay little. If you’ve seen my Instagram Stories, you’ve seen all the forts and crafts and clutter my kids loooooove to create. Playing pretend is what my kids do best! 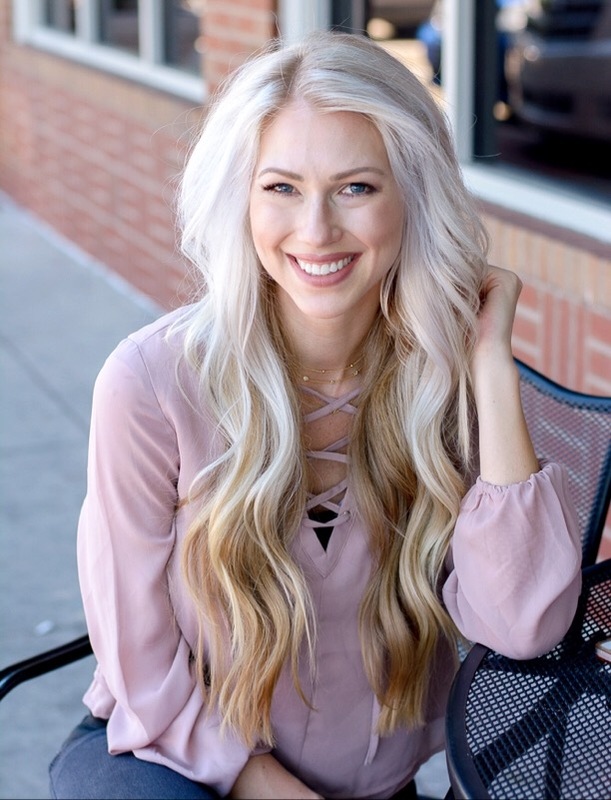 I’d rather play dress-up with the best of them than clean up. 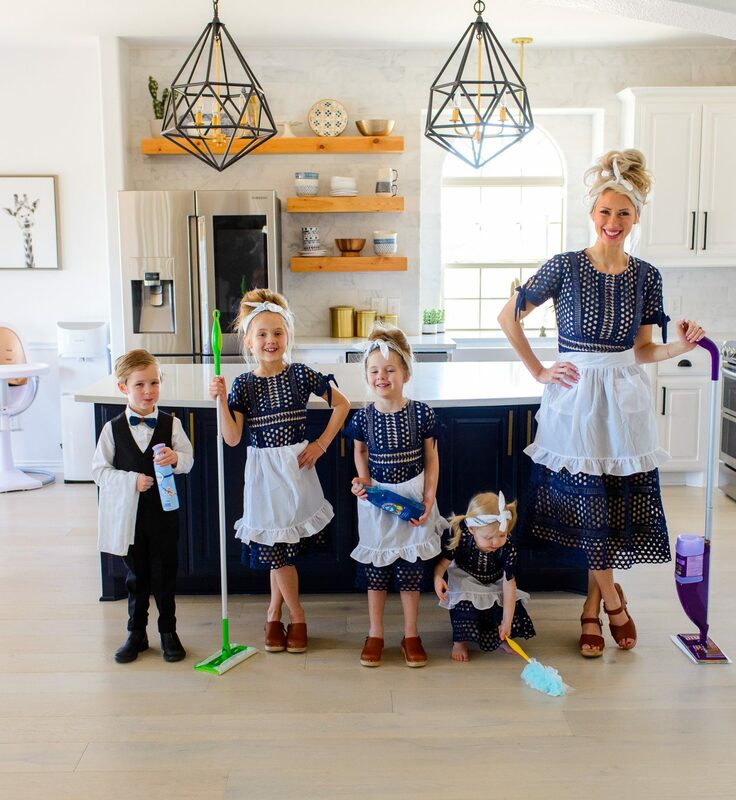 I’ll share a couple simple habits that keep our home clean, so we can live life like we don’t even have to clean. If It Takes 2 Minutes To Do, Do It Now. This has seriously made such a difference. Putting things away in smaller batches is so much easier to do, right? 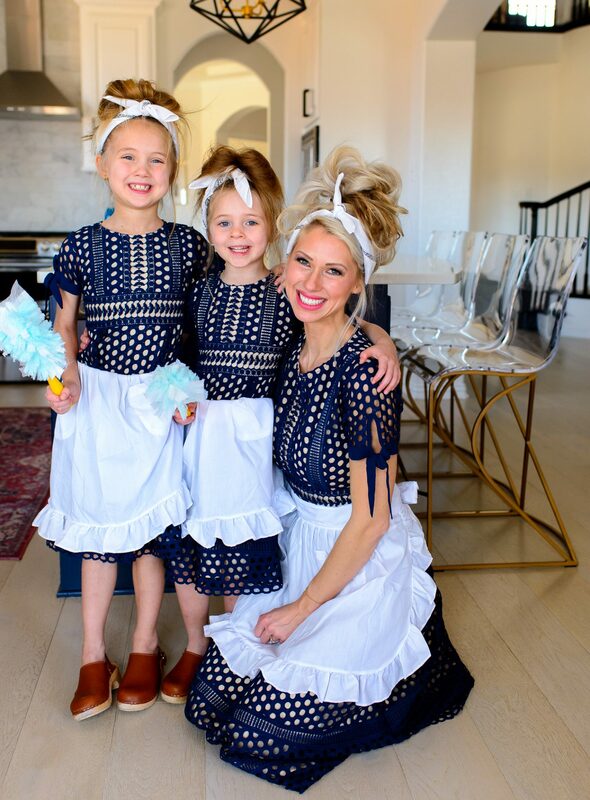 You better believe the kids and I are cleaning up as we’re making cookies or our favorite cinnamon bun popcorn! Cleaning up a huge mess the next day after a fun time is never real fun, but it’s super easy to clean up small messes as we go. 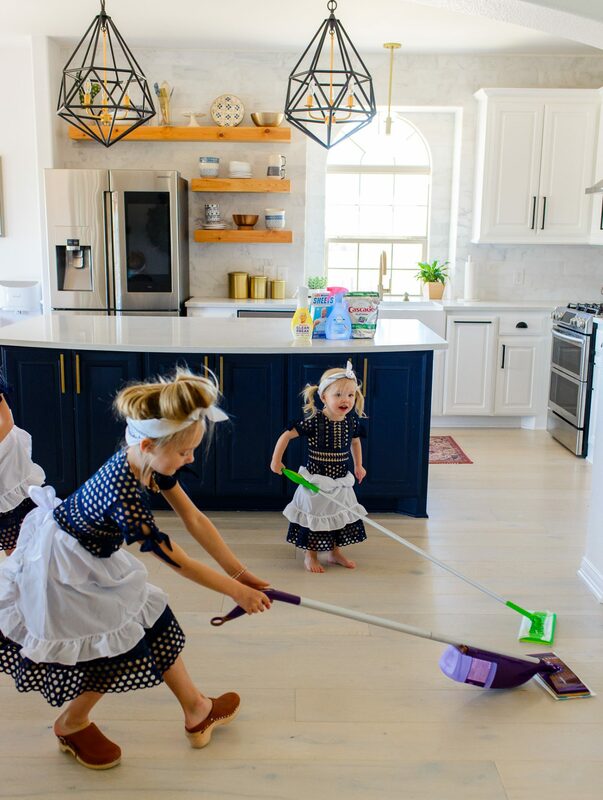 And involving the whole family can sometimes seem harder with little ones, but they’re learning so many good things and I love that we’re all getting to work together to keep our home tidy. 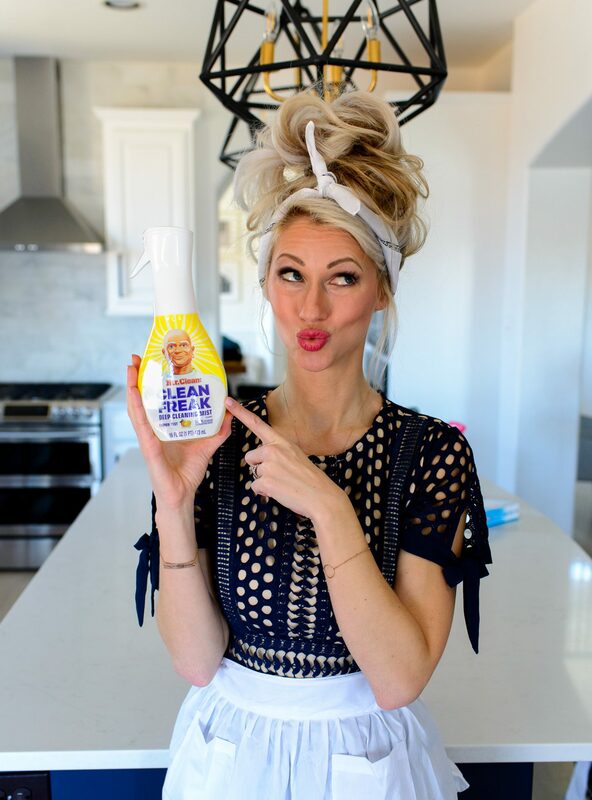 There’s never a better time to clean than now! After our family eats dinner, we’ll all hang around the kitchen while everyone snags a job to get done. 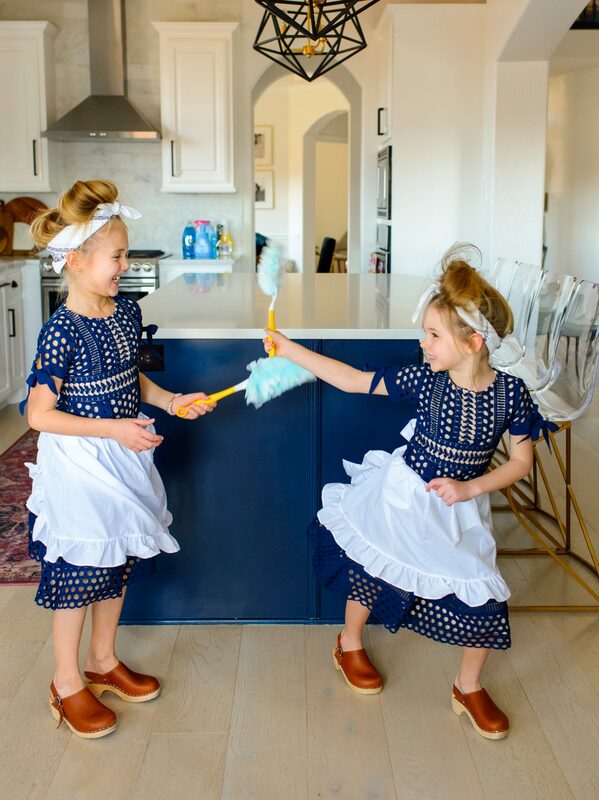 Before moving on to the next big project or play-time, we clean up the mess we just made. 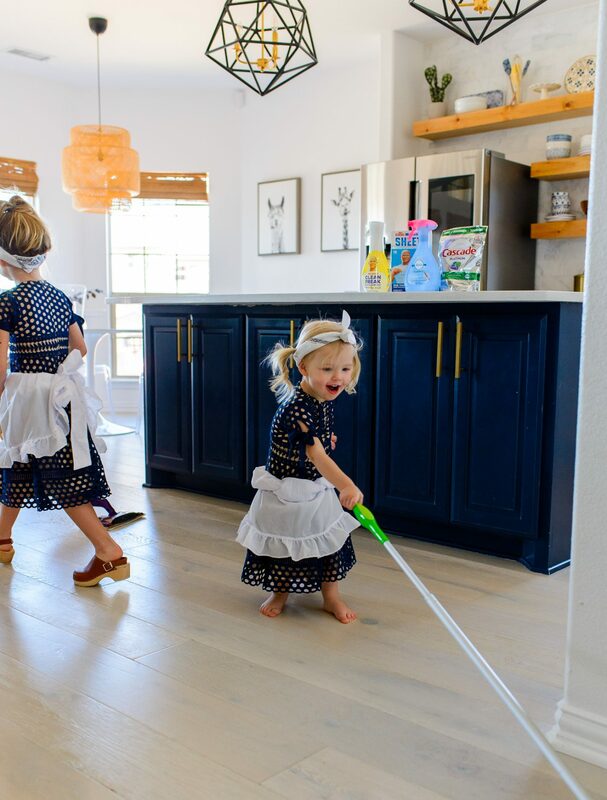 There’s no sense in limiting the fun if we don’t want to clean. 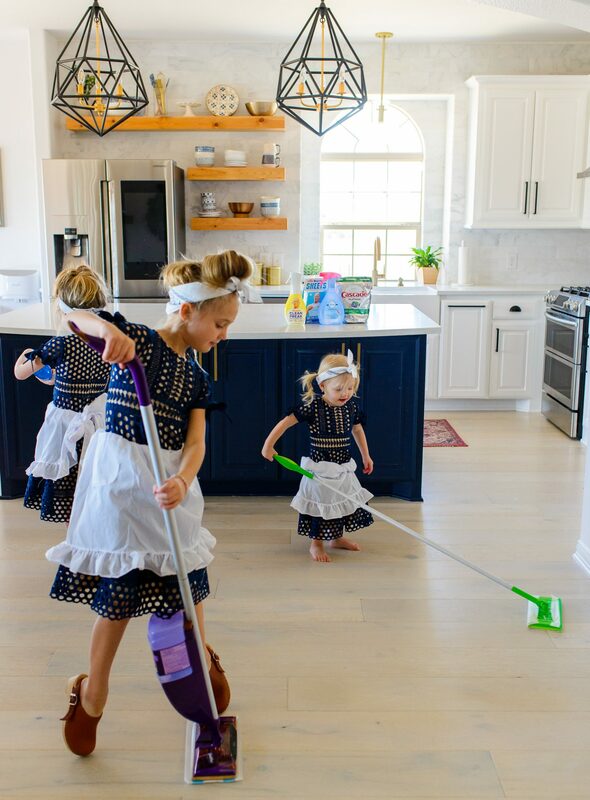 Small messes are easy and even fun to clean up. 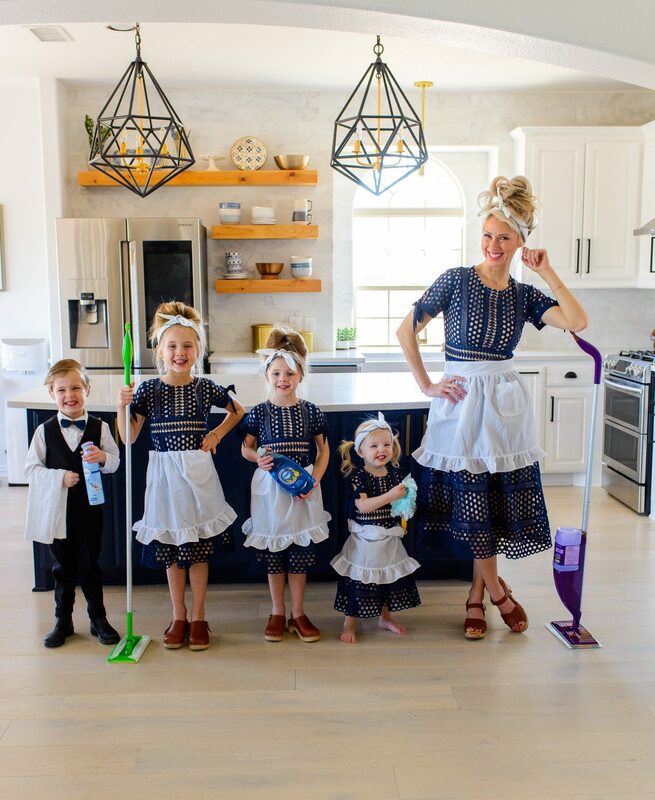 And all the fun and all the cleaning up together are memories my kiddos will share. Keep Cleaning Supplies Stocked. There’s nothing worse than when you’ve mentally prepped to get your messy space sparkling clean and realizing you ran out of cleaning supplies. It’s such a killjoy. 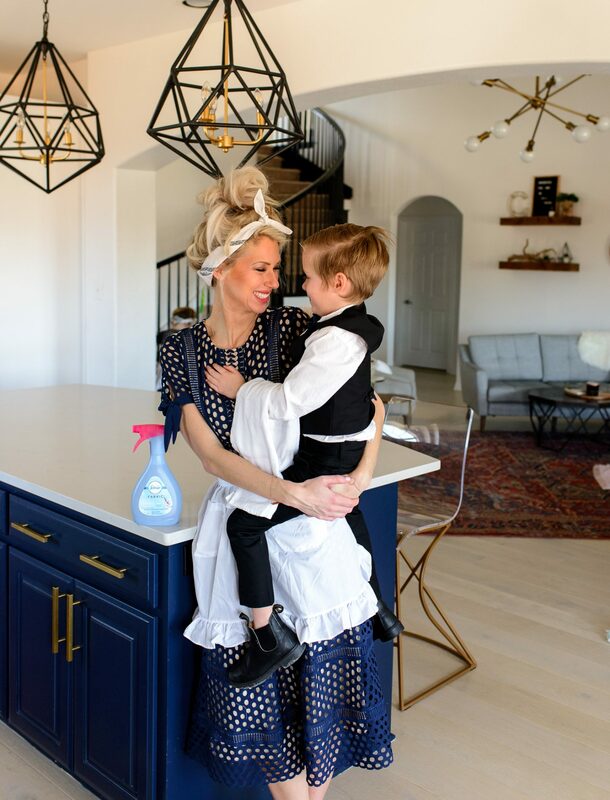 If you’re ready for your house to feel clean and fresh after a full day of making fun messes with the family then you’ll love P&G Home Care. 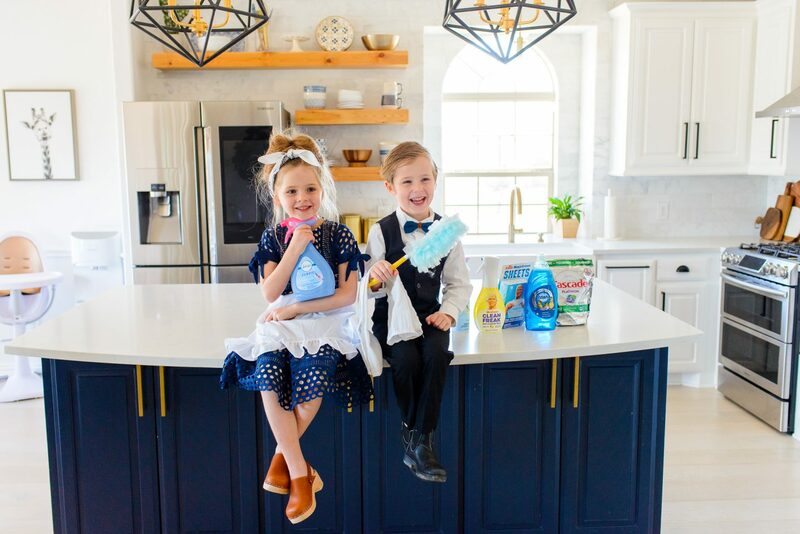 Their new products make Spring Cleaning so easy you might even say it’s fun with the kids! Our favorites include Swiffer, Febreze, Mr. Clean, Dawn, and Cascade. 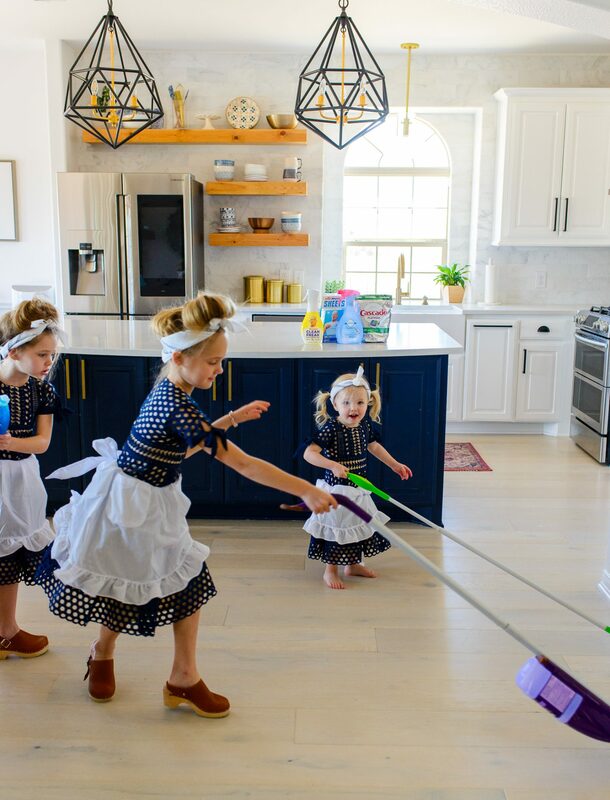 Every week my 4 kiddos will help me dust the house using the Swiffer Dusters and it’s literally the cutest thing to watch. 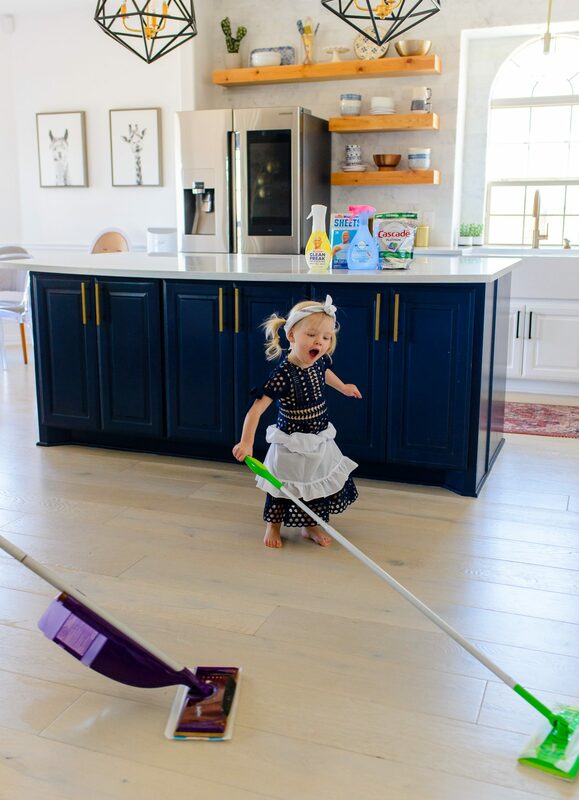 They all love to do it and even our littlest one helps out! I’m a longtime Cascade customer (my mom swore by it for clean dishes!) and if you haven’t tried the new Cascade Platinum, then you’re missing out since it’s super easy to use and leaves you with sparkling, streak-free dishes! If you’re looking to clean up after an epic crafting session, then pick-up Mr. Clean Magic Eraser Sheets. Let’s be honest, the Magic Erasers are pretty unbelievable with how well they scrub out seemingly-impossible stains, but the Eraser Sheets are on a whole new level of convenience. After the kids and I have used up the Sheet, we can toss them in the trash. Easy Peasy! Never be afraid to make a mess! 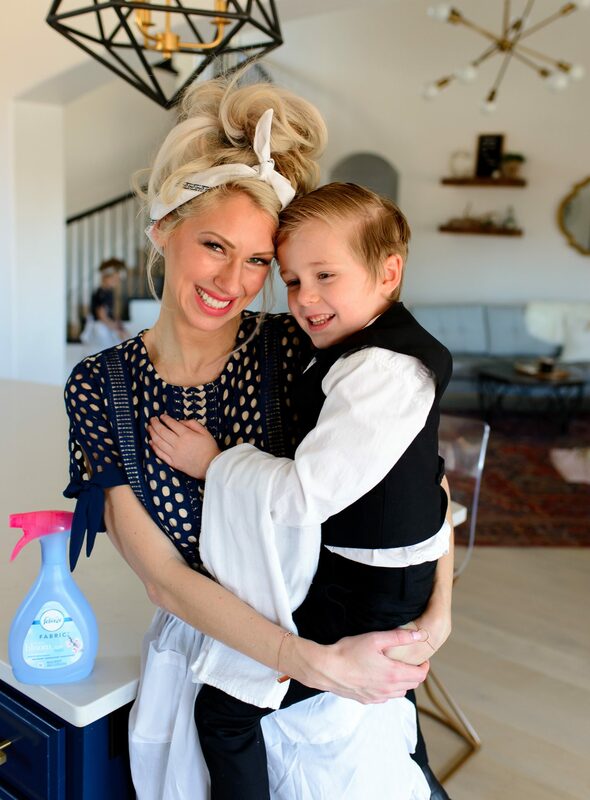 Thanks so much P&G for partnering with me on this post! Previous Post Baby Shark 2nd Birthday Party!